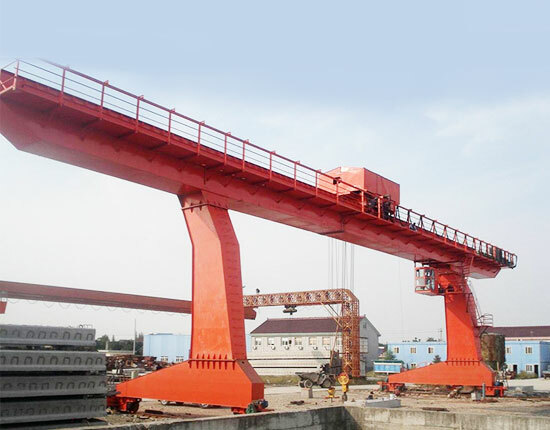 Cantilever gantry crane is one of the most common types of gantry lifting systems, widely used in many outdoor workplaces, such as railroad, freight yard, port and shipyard. The main beam of gantry crane is outreached at both sides to form cantilever, which helps increase the crane span and workspace. 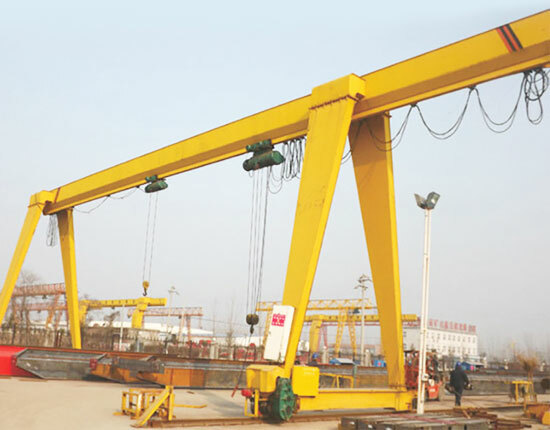 The gantry crane with cantilever has many different types for you to choose from, and they can be divided into single girder and double girder crane according to the girder construction, rail mounted and rubber tyred gantry crane according to the way it moves, box type and truss gantry crane according to different metal structure designs. Cantilever gantry crane is a popular lifting tool applied in a variety of industries to improve efficiency and productivity. We design several different styles of cantilever gantry cranes to meet almost all requirements of customers. 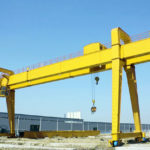 The cantilever rail mounted gantry cranes are commonly used to serve various lifting needs. It covers a wide range of lifting capacities, usually from 1 ton to several hundreds of tons. The rail mounted gantry crane with cantilever, as the name implies, runs along rails at the floor level. 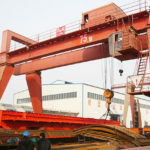 Whereas portable cantilever gantry crane runs by means of rubber tires attached to the equipment, allowing it to travel around freely without a fixed rail path. Therefore, the rubber tired gantry crane is a preferred option for users when they need a mobile lifting system. With regard to girder construction, you can choose either single girder or double girder based on your practical lifting needs. Usually the double girder gantry crane bears larger lifting capacity in contrast to single beam design, so it is also much more expensive. 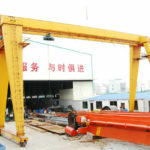 Cantilever gantry crane can be built with box or truss structure. 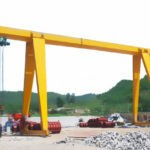 Due to easy fabrication, the box type gantry crane accounts for the majority. 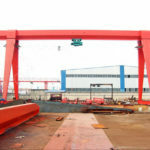 Truss gantry crane is ideal for some outdoor working occasions such as sea port, quay, dockside and shipyard to prevent the attack of strong winds and storms. 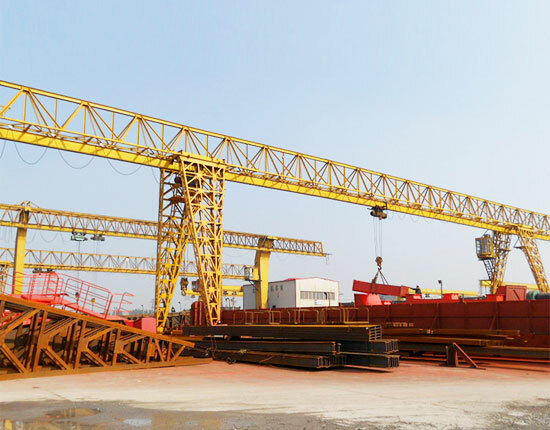 In addition, with respect to different work areas, we supply full type gantry crane and semi gantry crane for your choice. Semi gantry crane is a kind of single leg lifting system, widely applied in places where the space is an issue. 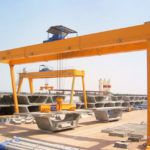 Each type of cantilever gantry crane can be equipped with a variety of lifting devices such as hook, grab and spreader to handle different materials. It is also outfitted with saddles on top of main beam to transmit a reasonable stress to the crane structure. Besides, the design of cantilever gantry crane should consider the need of compensation for structural deformation caused by temperature differences. To know more about cantilever gantry crane design, contract us now. 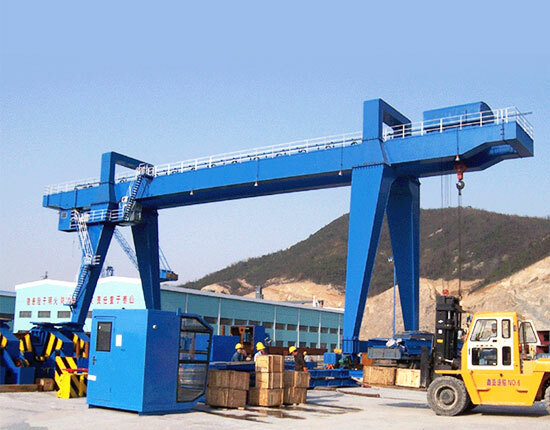 Why Use Cantilever Gantry Crane? 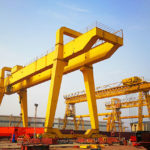 Many gantry cranes are designed with cantilever, but some people may be not clear about its function. Gantry crane cantilever is the part which the main girder reaches beyond the crane runway at one side or both sides. The cantilever design has many advantages as follows. 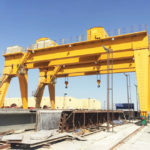 Compared with gantry crane without cantilever, this lifting system can increase the span, making it convenient to load, unload and move cargoes on one side or both sides of the cantilevers without affecting normal production within the span. Thus this gantry lifting equipment is a very practical design for many applications. The cantilever gantry crane we design requires little maintenance and also minimizes the equipment downtime so as to improve efficiency of the crane. The cantilever gantry crane has light dead weight, and the optimized design transfers less pressure to the crane structure. Reasonable and compact structure design makes it possible to make the most of available workspace. 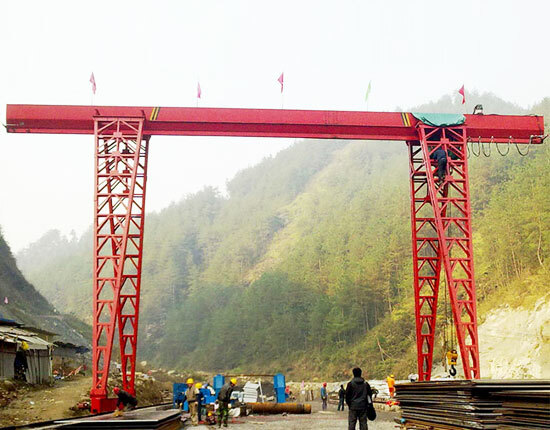 Gantry crane with cantilever is usually equipped with various safety devices to make sure it runs stably and smoothly. 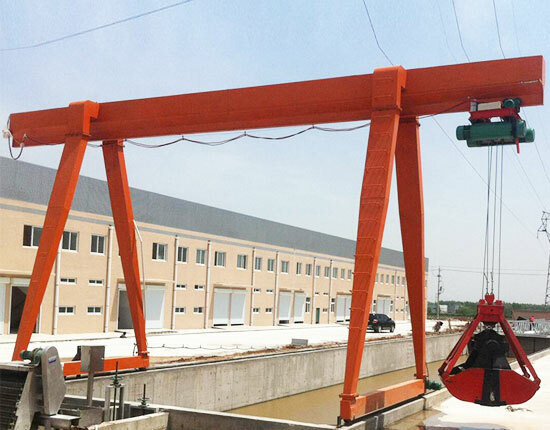 Gantry crane equipment is a perfect substitute to overhead lifting system, widely applied in both indoor and outdoor places where it is impractical to support an overhead crane. In spite of multiple types of gantry cranes, they are almost identical in structure. The gantry lifting equipment mainly consists of gantry frame, crane running mechanism, hoist trolley and electric control system, of which gantry frame is composed of main beam, supporting legs and end carriages. The metal structure of cantilever gantry crane is commonly made of Q235 carbon steel which goes through shot blasting and anti-rust treatments, and it usually consists of box type girder, four legs and two end carriages. The I-beam at bottom of main girder is built for running of electric hoist. According to specific lifting applications, the truss structure is also available. Hoist trolley is the most fundamental part of gantry lifting system as it takes the main lifting jobs. The electric hoist has multiple types including wire roper hoist and chain hoist. With regard to different materials to be handled, we supply a large variety of lifting devices such as hook, grab, electromagnetic chuck and spreader. Some protection devices such as overload limiter, lifting height limiter and safety brake are configured according to your actual lifting needs. Running mechanism is the main part to drive cantilever gantry crane to move, and it can be divided into track and trackless operations. The gantry crane can be powered by cable drum, diesel generator sets or bare copper wire. For electrical devices, some safety devices such as rain cover and lightning protection device are more often equipped for many outdoor uses. As professional gantry crane manufacturer and supplier, we always provide quality products and best services for our customers. Our cantilever gantry crane is a popular option for many clients and we also provide gantry crane without cantilever on your requests. Our gantry cranes have embraced ISO and CE certificates, which are effective ways to monitor the management and quality of our products. We have also set a systematic service system including pre-sale, sales tracking and after-sale services to solve various problems for clients in the whole order process. With continuous efforts, our products have been exported to many countries and regions such as Malaysia, Indonesia, South Africa, Pakistan and Vietnam. We always adhere to the principle of quality first and customer foremost so as to bring maximum satisfaction to clients. To know more about cantilever gantry crane, please contact our sales representatives online directly. We are more than happy if we have the opportunity to work with you.